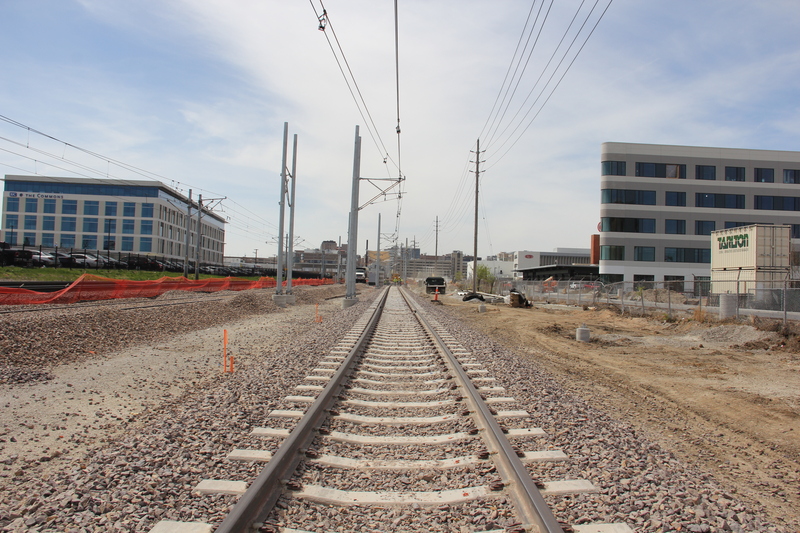 Construction of a new section of rail for the Cortex MetroLink Station project has been completed, and MetroLink will begin operating on this new track starting on Monday (April 30). Work to accommodate this change may result in delays for some MetroLink passengers this weekend. Park-DeBaliviere Station to continue their eastbound trip. Will the CWE Station close when the Cortex Station opens? Do you know if BJC/WashU will provide shuttle buses for their employees? Metro will start work to extend the platform at the Central West End MetroLink Station after construction of the Cortex Station is completed – a date hasn’t been set. This construction project may require closure of the station over a weekend, but we are working to minimize the impact of this work to riders. Stay tuned to NextStop for details later this year.